Upper elementary students continue building on the foundation of their early learning adding new creativity and critical thinking. The curriculum supports the further development of self-confidence, study skills, public speaking, writing, and organizational skills that are essential for completely embracing the educational experience. 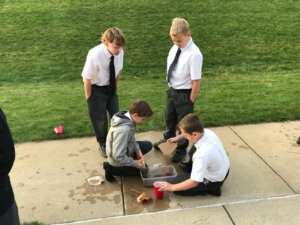 The fourth-grade boys recently had the opportunity to choose what an entire day at school would look like. 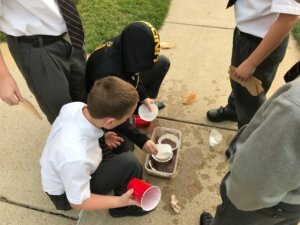 They included Mass, adoration, solving water pollution problems, and creating and putting on a play. 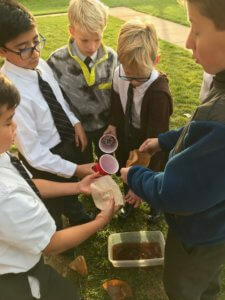 Their full effort was present in all the activities, and they had amazing results! Enjoy these photos from the day as well as a link to the play they put on.